The IRS has issued Rev. Proc. 2018-18, which revises the previously-published annual limitation on deductions under Code § 223(b)(2)(B) for 2018 for an individual with family coverage under a high deductible health plan. The originally published limitation was $6,900. It has now been reduced to $6,850. The recently enacted Tax Cuts and Jobs Act requires cost of living adjustments be made using the Chained Consumer Price Index for All Urban Consumers (C-CPI-U), which over time will reduce the cost of living adjustments made to various IRS limits. Employers making Health Savings Account (HSA) contributions for employees (either directly, or through their cafeteria plans) should review the elections made by their employees and adjust those elections to avoid exceeding the $6,850 limitation for 2018. Likewise, individuals making HSA contributions should revise any automatic contribution schedule they have established to avoid exceeding the limit. 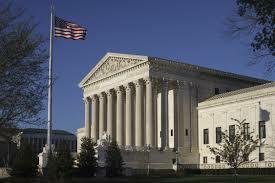 The United States Supreme Court has ruled in the case of CNH Indus. N.V. v. Reese, that courts cannot simply infer lifetime vesting of retiree health benefits from a collective bargaining agreement. Instead, lifetime vesting must be expressly written into the agreement. The employer in this case provided health benefits to certain employees who were eligible for benefits under the employer’s pension plan, in accordance with a collective bargaining agreement (CBA). When the CBA expired in 2004, some retirees sued, arguing that their health benefits were vested for life. While the lawsuit was pending, the Supreme Court decided M&G Polymers USA, LLC v. Tackett, which held that courts must interpret CBAs according to “ordinary principles of contract law.” The trial court in this case then ruled for the retirees, and the Sixth Circuit affirmed, relying on presumptions the 6th Circuit originally established in UAW v. Yard-Man, Inc., even though the Supreme Court had explicitly rejected those presumptions in Tackett. The Sixth Circuit’s decision turned on its holding that the CBA’s 2004 expiration date was inconclusive as to whether the retiree health benefits terminated in 2004 or were vested for life because (1) the CBA specified that certain benefits, such as life insurance, ceased at a time different from other provisions, and (2) the CBA tied health care benefits to pension eligibility. The court acknowledged that Tackett precluded it from inferring vesting based on these plan provisions, but concluded that the provisions nevertheless rendered the CBA ambiguous, allowing consideration of extrinsic evidence that supported lifetime vesting. The Supreme Court reversed, stating that “inferences applied in Yard-Man and its progeny” do not represent ordinary principles of contract law and therefore cannot be used to generate a reasonable inference that then creates ambiguity. The Court acknowledged that, when a contract is ambiguous, courts can consult extrinsic evidence to determine the parties’ intentions—but a contract is not ambiguous unless it is susceptible to at least two reasonable but conflicting meanings. In this case, the Supreme Court held that the CBA contained a durational clause that applied to all benefits, with no exception for retiree health benefits, and that therefore there is only one reasonable interpretation of the CBA – that it does not vest retiree health benefits for life. This case is re-assuring for employers offering retiree medical plans – that they are less at risk of inadvertently creating a vested lifetime retiree health benefit than if the Plantiffs had prevailed in this case. However, the long standing advice still stands: Employers should be explicit in their retiree health plan documents and SPDs that the benefit is not vested and that the employer retains full and unfettered discretion to amend or terminate the plan and the benefits at any time. The IRS has released a sample of Notice CP 220J, which the IRS will use to notify applicable large employers (ALEs) that it has charged them an employer mandate penalty under Code § 4980H for failure to offer adequate health coverage to full-time employees and their dependents. The release of Notice CP 220J follows last year’s release of Letter 226J (the initial letter that the IRS will use to notify employers of the assessment of proposed employer mandate penalties) and Forms 14764 (Employer’s response to proposed penalties) and 14765 (list of employees receiving premium tax credit). Employers may use Form 14765 to change information previously reported to the IRS, which could potentially reduce or eliminate employer mandate penalties. If you want to take your case to court immediately, include a written request to issue a Notice of Claim Disallowance. Employers will then have two years from the date of the notice of disallowance to file suit in the United States District Court that has jurisdiction or the United States Court of Federal Claims. The legislation passed by Congress and signed by President Trump on January 23, 2018 to continue funding the government through February 8, 2018 also delays the “Cadillac Tax” another two years. The Cadillac Tax is now not scheduled to become effective until 2022. While it is likely future Congresses will continue to delay, or perhaps eliminate the tax entirely, employers and others that sponsor Cadillac plans should continue to monitor the situation and have contingencies to deal with it if the tax does in fact go into effect.